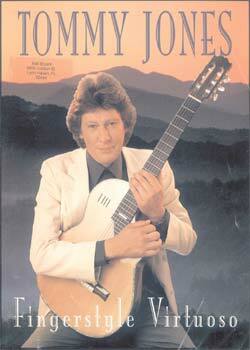 Tommy Jones Fingerstyle Virtuoso PDF + Mp3 CD download. Tommy performs nine incredible solos for guitar. The book has notation, tab, photos and a biography on Tommy’s life. Tommy Jones is a young man who has watched and learned from the best fingerstyle players around. He has combined that knowledge with his own ideas, dazzling technique, and power of arranging. The results are not short of amazing. The arrangements in this collection by Tommy Jones, transcribed by Bill Piburn, are outstanding. Download Tommy Jones – Fingerstyle Virtuoso PDF free and other books from our site. Only high quality PDF scans. Please write a review, it's important for our community.